The year is 1807. Josh and Gabe Dent are two brothers living on the far frontier of a young America. Their lives are jolted when their parents are brutally murdered by a gang of thieves. The two frontiersmen ride to hunt down the killers. The trail of vengeance is not an easy one. In the years that follow, Josh and Gabe find themselves answering the call of the West. The brothers join up with the first Mountain Men to see America's greatest untamed natural treasures. But as bountiful as it is, the land is fraught with danger and bloodshed. First, let me say that I have over 2000 audiobooks in my library, purchased from Audible. Yes, I know my counter says, 1054...it has been stuck there for years. Of all the novels I have heard since Audible's inception....The Adventures of the Brother's Dent is the worst. This novel was so incredibly naive, so brutally embarrassing, that I finished it just to write this review. (If you return a book, you may not write a review!) The story is about two perfect boys whose parents are murdered by bad men. They spend years seeking revenge with a road trip to become mountain men thrown in as filler. Most characters in this novel are illusions to historical fiction and non-fiction. It's like a bad 60's Disney movie rip-off...Mike Fink!?! You gotta be kidding. But the weirdest thing about this entire audio tale is last chapter. It is a random (45 minute) screed from some Celtic novel about a place called the Hall of Tutorigus. At first, I thought that this was just an editing error. Then, after restarting the chapter, I noticed that the narrator says - *chapter four...teen* - the *teen* is dubbed onto *four. * Very intentional dubbing. This was not an accident...it is definitely filler to get the book close to the magic eight hour number. Very unscrupulous, if in fact, this is what happened. What is going on with quality control at Audible? Educational As Well a Journey Through Time. 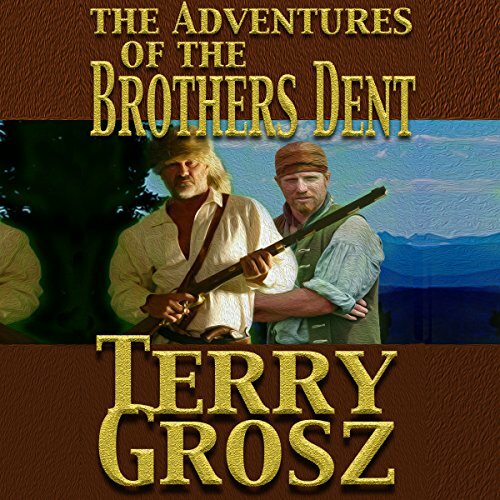 Terry Grosz's books are always loaded with detailed information about the Mountain Man way of life. But they are not for the faint of heart or those who always like a fairy book ending.